Place your trust in a fleet management company that has been working with businesses and fleets of all sizes and the government since 1946. We built the CRUISE Americard to stand out as the best available option for your needs because we want you to choose to do business with us today and tomorrow. of the Voyager Fleet Network. Boyett Petroleum is the premier independent fuel supplier and retailer in the West. Boyett Petroleum has had a presence in California’s Central Valley since 1946. 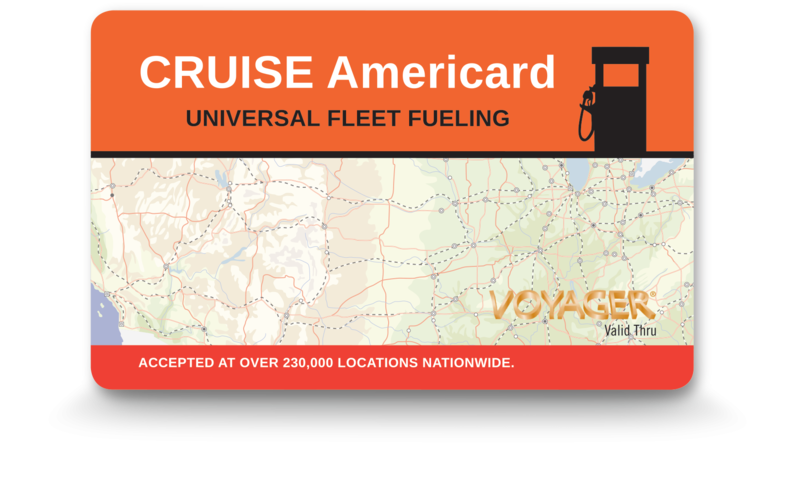 Our company offers a variety of products and fleet services nationwide, including wholesale fuel supply sales, retail and petroleum management services, agricultural fuel sales an the CRUISE Americard fleet fueling card program. In addition, Boyett Petroleum operates within more than 50 retail locations under the Cruisers, Boyett Petroleum and Kwik Serv brands, and the Retail Management Services (RMS) program. Our company is recognized for business integrity, innovative marketing excellence, strong family values, community leadership and involvement, and customer service expertise. The mission of the Boyett Petroleum Make Dreams Real Endowment Fund is to make dreams real for school aged children of Stanislaus County through participation in programs that enrich and stimulate their minds and bodies; and this mission is achieved by encouraging and establishing a service learning process of accountability and volunteerism in the community. Since the fund was established more than $750k has been granted to local children’s programs including Foothill Horizons Outdoor Education for students from Empire, Stanislaus Union, Riverbank, Sylvan Union School District and Salida School Districts. The MDR Endowment Fund also contributed funding to Society for Handicapped Children & Adults’ Adapted Bike Camp, teaching children with various disabilities to ride a bike. These opportunities provide children educational, enriching and stimulating experiences, that for some, are once in a lifetime. The tournament proceeds benefit the Make Dreams Real Endowment Fund Boyett Petroleum pays 100% of all fees associated with the tournament, enabling 100% of all money raised to go into the fund. Next year’s tournament will be on Thursday, May 17, 2018!